Progress MS-02, the second of the new line of upgraded MS spacecraft, is the second of three cargo craft set to arrive at ISS in a period of just three weeks. First was the Cygnus OA-6 craft arriving with 3,395 Kilograms of cargo last Saturday and the SpaceX Dragon is expected to lift off atop a Falcon 9 rocket on Friday for a robotic capture on Sunday to mark the first time two commercial cargo craft are berthed to ISS at the same time. Progress MS-02 made a nighttime liftoff from the Baikonur Cosmodrome on Thursday, blasting off atop a Soyuz 2-1A rocket at 16:23 UTC. 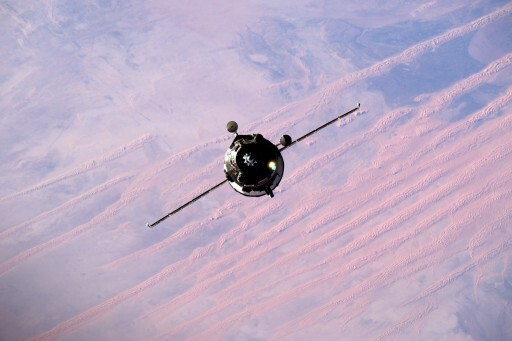 The Soyuz rocket provided the vehicle with a smooth ride into orbit, releasing the 7,290-Kilogram cargo ship eight minutes and 48 seconds after liftoff into an orbit of 189 by 218 Kilometers, all set for its climb to ISS, currently flying in an orbit just over 400 Kilometers in altitude. 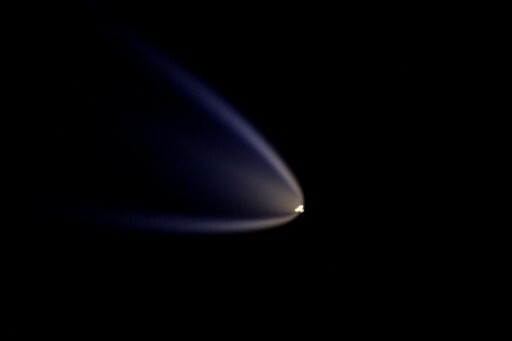 The crew aboard the Station had a first row seat to watch the launch as ISS was in a perfect position – trailing the Soyuz rocket at the moment of liftoff, but catching up due to its higher speed to allow the crew to see the third stage burn from straight above, making for some spectacular photos the USOS crew members shared via their Social Media feeds. 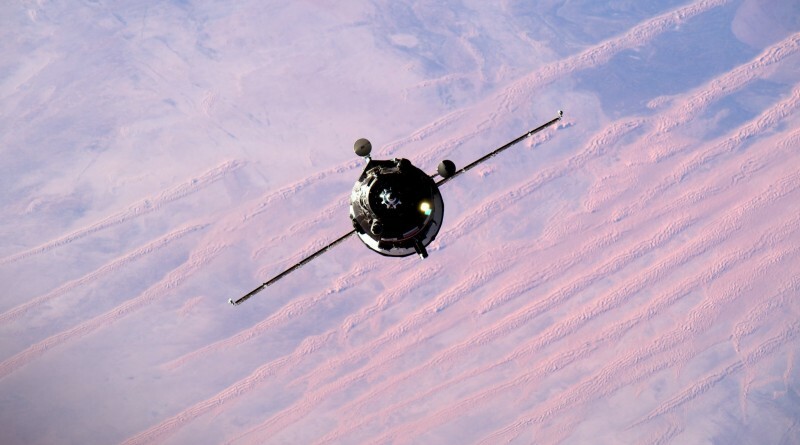 Because Progress entered an orbit 200 Kilometers below ISS, it quickly pulled out in front of the Station – to catch up an entire orbit for Saturday’s link up. 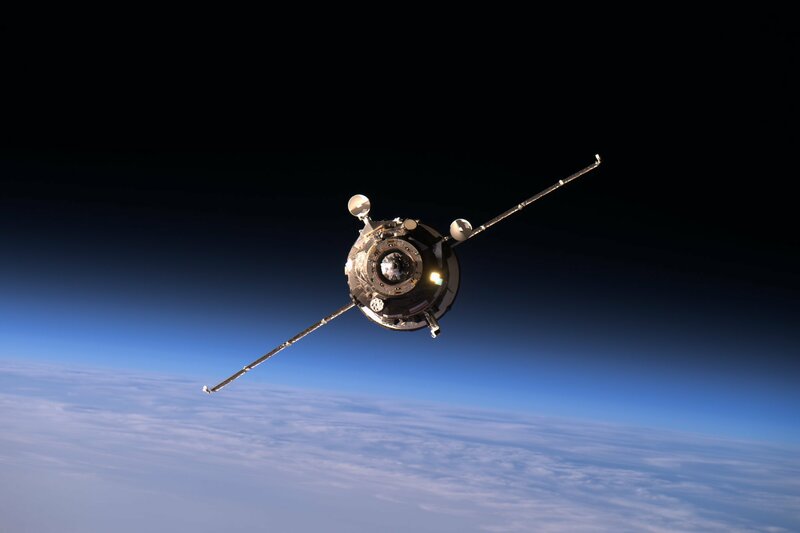 With its solar arrays and KURS antennas deployed, Progress embarked on its first day in space – starting with a pair of main engine burns on the third orbit of the mission, successfully lifting the spacecraft into an orbit of 265 by 269 Kilometers. 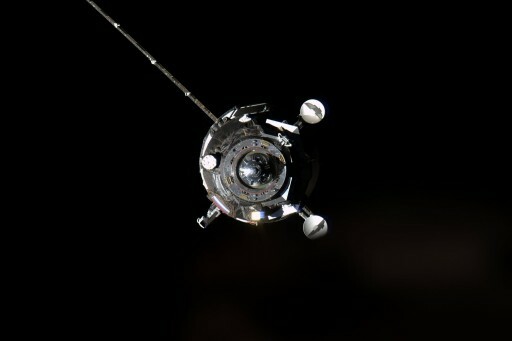 On Friday, a fine-tuning maneuver was made to properly position the spacecraft for rendezvous initiation on Saturday. 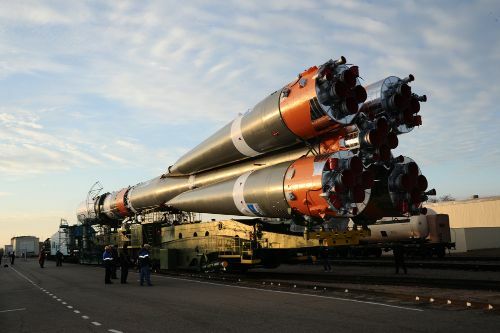 Progress MS-02 took the long way round, not using the fast six-hour launch-to-docking flight profile in order to give engineers a chance to put the spacecraft through a number of tests involving the new MS systems that are set to premiere on the crewed Soyuz spacecraft in June. To reduce risk for the crewed missions, two Progress MS spacecraft were put through testing to verify the new systems are fully operational in the actual mission environment. 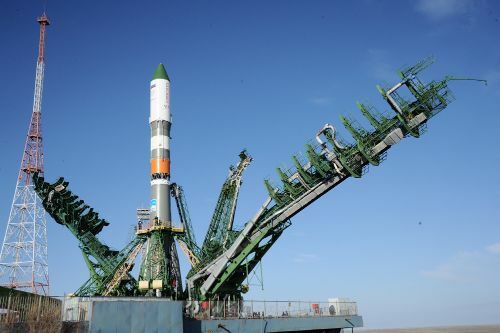 The MS upgrade is largely focused on communications and navigation systems, replacing the old Kvant-V radio built in the Ukraine with a Unified Command and Telemetry System. The MS spacecraft are capable of communicating with the Luch satellites in Geostationary Orbit, relaying communications to and from Mission Control, not unlike the American Tracking and Data Relay Satellite System, providing a voice and data link for a large part of the orbit. Also, GPS and Glonass receivers enable the spacecraft to automatically calculate its orbit and a proximity communications link allows ISS and Progress/Soyuz to exchange navigation data. The MS upgrade also includes the new KURS-NA system, reducing mass over its predecessor by eliminating a number of antennas while increasing accuracy and flexibility. The Progress craft is outfitted with additional debris panels and an external compartment will be used for future satellite deployments. Further changes include the use of a digital video transmission system, more accurate angular rate sensors and a backup drive mechanism within the docking system to add redundancy. Starting its Automated Rendezvous Sequence at 15:39 UTC on Saturday, Progress MS executed its first rendezvous impulse to place itself on a path inside the 200-Kilometer communications zone around ISS. To set up for the arrival of the Progress, ISS switched over to the Russian Segment for attitude control and the KURS-P system on the Service Module was activated to allow Progress to process navigation signals through its KURS-NA system. 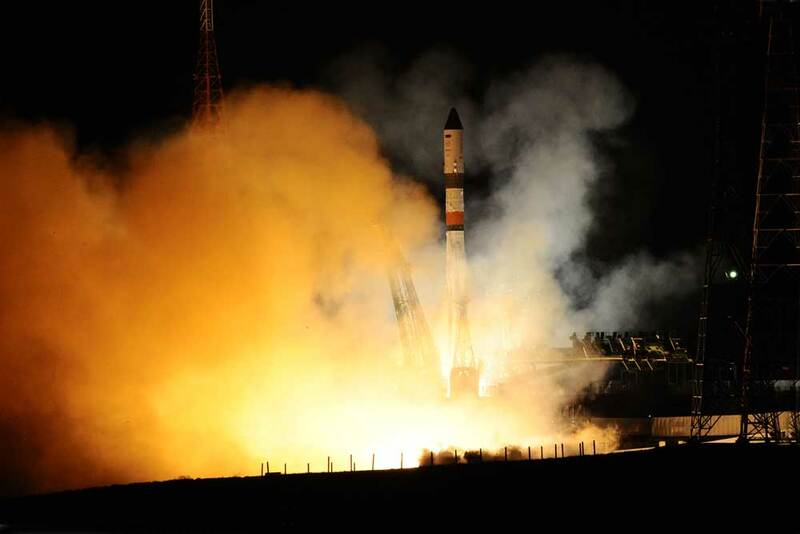 KURS-NA underwent a test at a range of 80 Kilometers to ensure it delivered valid navigation data and Progress executed another large impulse burn to aim for its Ballistic Targeting Point, initially flying to a point around 1 Kilometer from ISS to keep the option of a passive abort in case of trouble. Aboard the Space Station, Yuri Malenchenko and Alexey Ovchinin took their places in the Service Module and set up the TORU Teleoperated Control System for remote control of the Progress in case of problems during the automated approach. A second KURS test occurred at 15 Kilometers and TORU was powered up when Progress was at ten Kilometers to provide the crew a brief window for a test of the rotational and translational hand controllers to confirm good maneuverability under remote control. 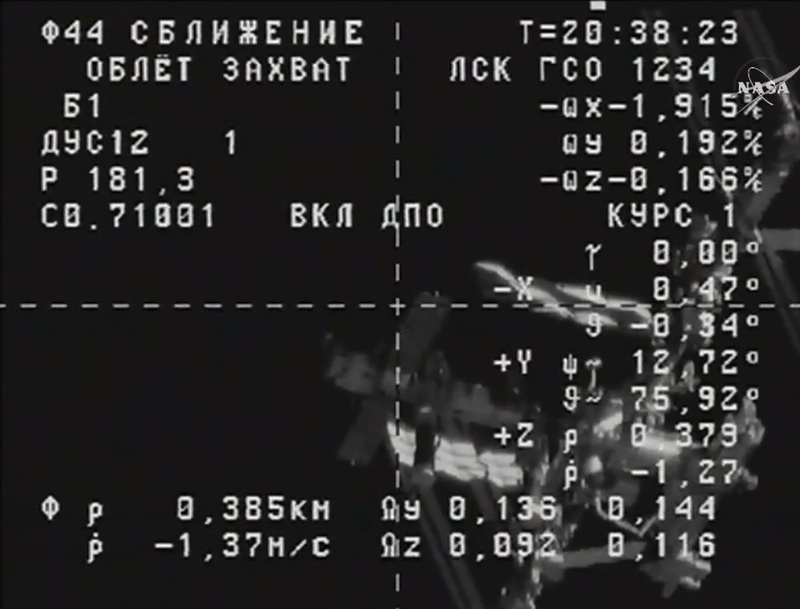 Passing the Ballistic Targeting Point, Progress executed three burns, two with its KTDU-80 main propulsion system and the last one with its DPO thrusters to enter the direct vicinity of the Space Station, slowing down for the flyaround. The KURS system remained in a good Lock-On Mode using its two ASF antennas throughout the rendezvous and Progress automatically initiated its flyaround maneuver when reaching the 400-meter mark. 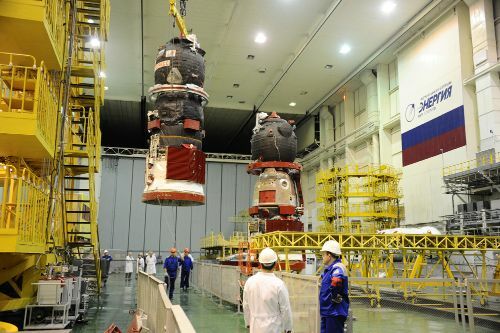 Flyaround went as planned and Progress got lined up with the aft end of the Zvezda Service Module that had been vacated by Progress M-29M on Wednesday. Once in good alignment, Progress paused for a moment to provide Mission Control time to look at the status of all systems on the craft which checked out well, allowing the vehicle to press on in auto mode. Final approach was initiated and Progress gently fired its thrusters to cover the final 200 meters to its docking target. Slowing down to just 0.1 meters per second, Progress remained under automatic control and used its DPO thrusters to keep the docking mechanism aligned with Zvezda, all under close watch of the crew members who were ready to switch to TORU if needed. Contact and Capture occurred at 17:57:46 UTC on Saturday when the docking probe of the spacecraft slid into the cone on Zvezda to allow capture latches to engage and hold the Progress in place. Upon sensing contact, the spacecraft fired its thrusters to push in and ensure all latches would engage while ISS switched into free drift to avoid any thruster firings on the Station side. Relative motion between Progress and ISS was allowed to dampen out for a few minutes before Progress retracted its docking probe and hooks were closed on both sides of the docking interface to create a hard mate between the spacecraft and ISS. 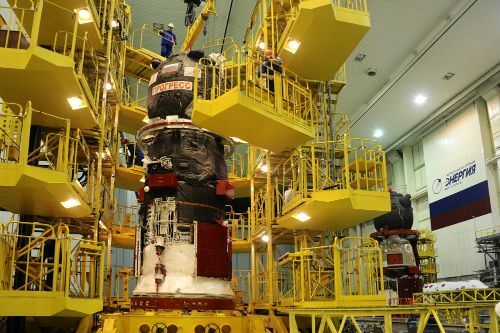 The Russian crew members will complete a series of reconfigurations of communications systems before completing the standard one-hour leak check followed by the opening of the Zvezda and Progress hatch later on Saturday. Completing sleep shifting, the crew is set for a night shift unloading time-critical materials from the Progress. 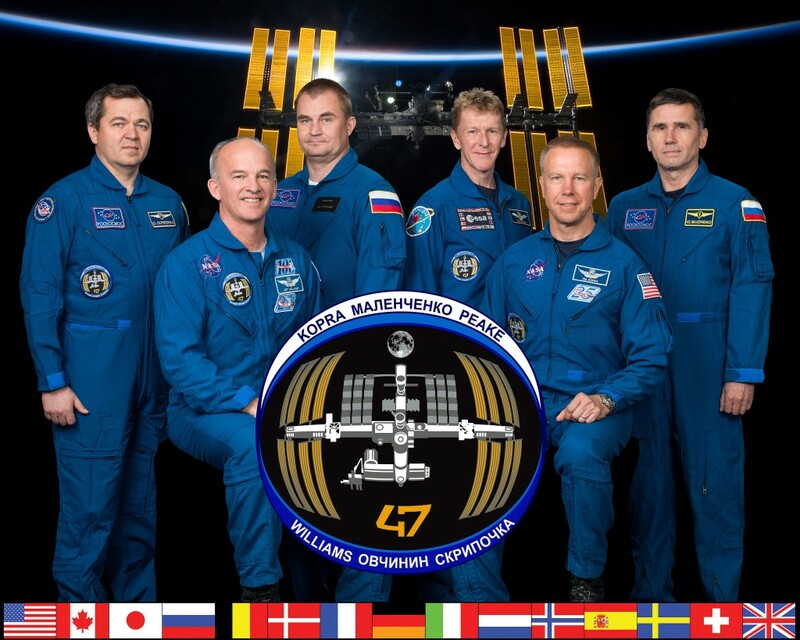 Progress MS-02 is loaded with 2,425 Kilograms of cargo for ISS comprised of 1,418kg of dry cargo in the pressurized cargo module of the spacecraft, 540 Kilograms of refueling propellant to be transferred to ISS, 420 Kilograms of water for crew consumption and oxygen generation, and 47 Kilograms of pressurized oxygen and air to top up the Station’s atmosphere.